It would be easy to only show you parts that we print in-house but what would be the fun in that? Click below to see what our customers are 3D printing and read about their Airwolf experience. 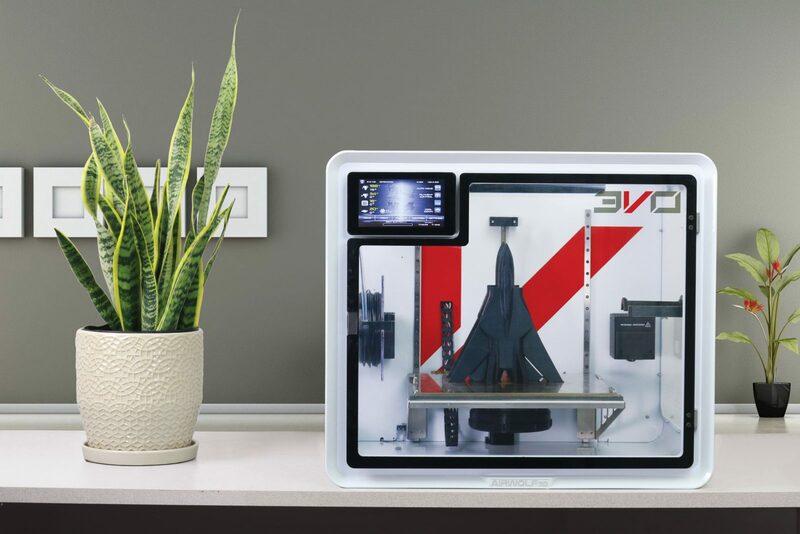 Did you just print another amazing part on your EVO or AXIOM? Please share it and tag us @airwolf3d! Patent-pending HydroFill Water-Soluble Support is the world’s only universal, water-soluble support material for 3D printing complex structures in ABS, PLA, Nylon, TPE, and TPU. Goodbye hairspray, gluesticks and messy mixtures! We pioneered the frontier of polycarbonate desktop 3D printing, empowering users with 3D printers with enclosed chambers, pure, housemade polycarbonate filament, and patent-pending Wolfbite Mega, the world’s only 3D printer bed adhesive formulated specifically for polycarbonate. Dedicated to serving STEAM education through 3D printing. Download our free curriculum here.